Our Den is located in the basement of Ozanam House on St. Augustine Street – just behind the Augustinian Church off Shop Street. For an exact location, please click here. We are one of few Galway troops to have our own Den and are very lucky to have this space for ourselves – no-one else uses it. 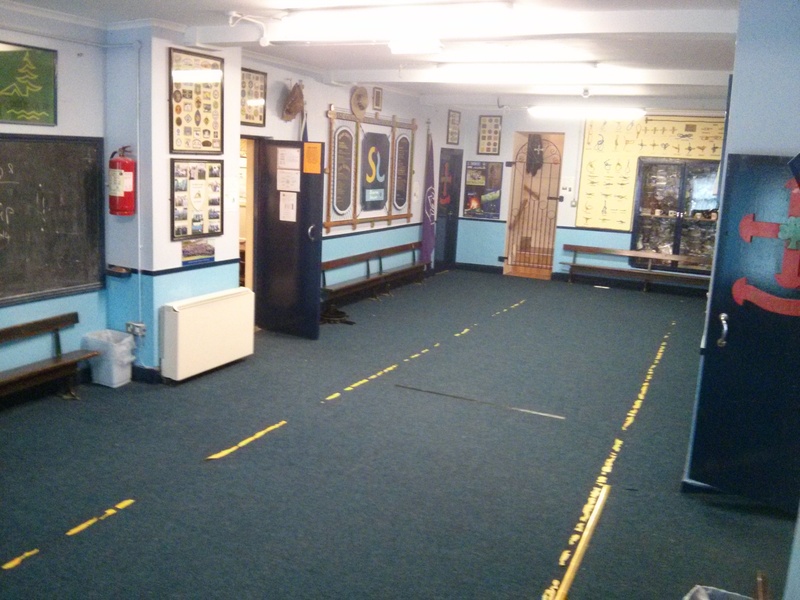 We have a main hall for activities, a leaders meeting room, a kitchen, a store room, toilets and even 2 tunnels under the road to store some gear. If you would like to see the den, please call down or else get in touch. Our den is unfortunately not available for overnight use due to it’s location under the offices that are located in the building above us. If you are coming to Galway however and are looking for somewhere to stay, please feel free to contact us and we will do our best to help you find somewhere to stay!